Heading to the beach? Don’t forget the beach towel! Just think of the exposure you get if the beach towels of your clients carried your brand. Beach towels will get used for a long time and the large imprint area will make a perfect billboard for your brand; great for executive retreats and outdoor business promotions! The best part- these custom products are not just seen by your recipients but everyone around. Beach towels make versatile gifts to promote all types of events and products; everyone needs it for their beach holidays and these never go out of fashion. 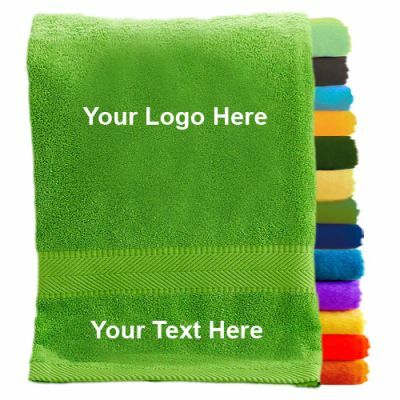 Additional to the basic functionality of keeping the users dry and comfortable, beach towels have now become one of the most popular business promotional items; thanks to its generous imprint area, brilliant color choices and above all a low price tag. People use it even as a perch to squat on the sandy beach or to cover themselves up in the event of a sudden down pour. Imprinting beach towels with business logos help beach resorts and hoteliers publicize their brand among their audience. 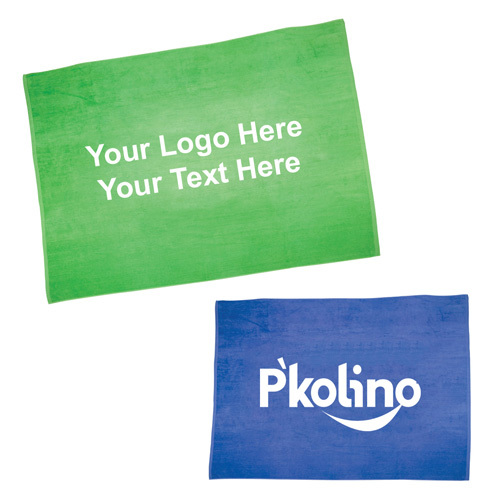 Offered in a range of materials and color choices, beach towels can be matched with your promotional theme as well. These make great handouts for your team during corporate picnics and outdoor events as well. It will make a special gift that will bring back the nostalgic memories to your recipients even after the event. Lightweight Kiwi Beach Towels are 100% cotton beach towel with terry valour and hemmed twill for beach events and summer festivals among others. Being light, these towels are well suited for kids and family audience. Heavy Weight Beach Towels: These terry velour hemmed heavyweight beach towels that weigh 20 Ib/dozen double up as a comfortable perch for the beach goers. 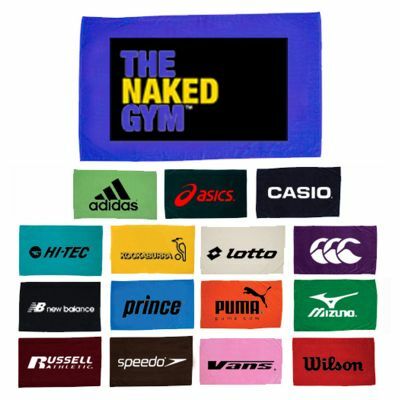 Your brand imprinted on these towels will get a lot of attention. Beach parties go by the simple equation – “Bigger the party the merrier” for most people. So, these Oversized Beach Towels make great hand outs to reach out to a group of people at one go. Measuring 50″ x 60″, these attractively colored, oversized promotional beach towels can be spread out to make a relaxing seat for more than 2-3 people to enjoy the sunset or the outdoor concerts by the beach. Just imagine the exposure your brand imprinted on these! Need more? Browse our collection and choose a model that matches your event and theme. 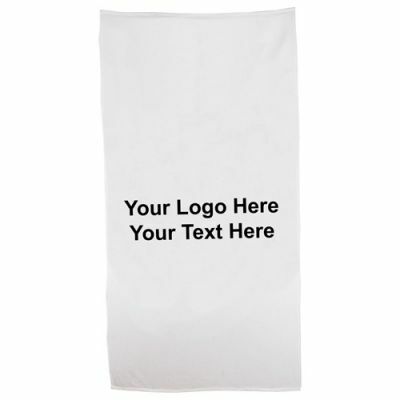 Why custom Beach Towels Make Great summer Promotional Items?